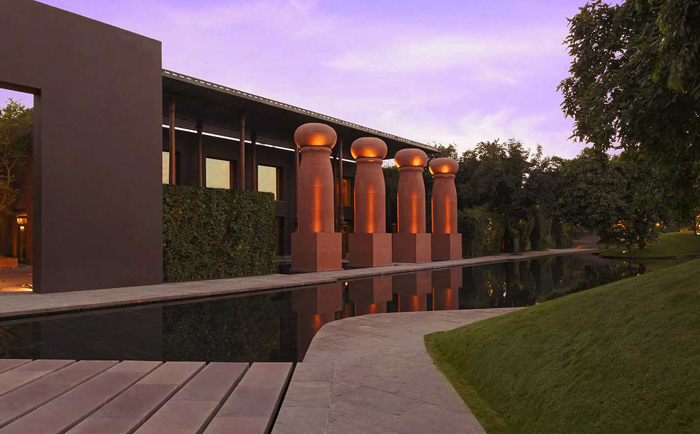 The Roseate New Delhi is a one of its kind urban resort with eight acres of verdant green and unperturbed water bodies which fuse seamlessly with an award-winning architecture. It is the epitome of luxury and hospitality that offers an indefectible escape from tedious city life. Enjoy a relaxing spring-summer getaway at The Roseate New Delhi. To gift your loved one an unforgettable experience, book a bespoke celebration package crafted especially for you. Relax, refresh & rejuvenate at The Roseate New Delhi. Enjoy a fun filled evening of endless laughter. Enjoy a pulsating Bollywood night at IAH Bar. Unwind. Enjoy an unforgettable Easter brunch at Kiyan.